WE'RE HERE FOR ALL OF YOUR PRESCRIPTION NEEDS — AND MORE. 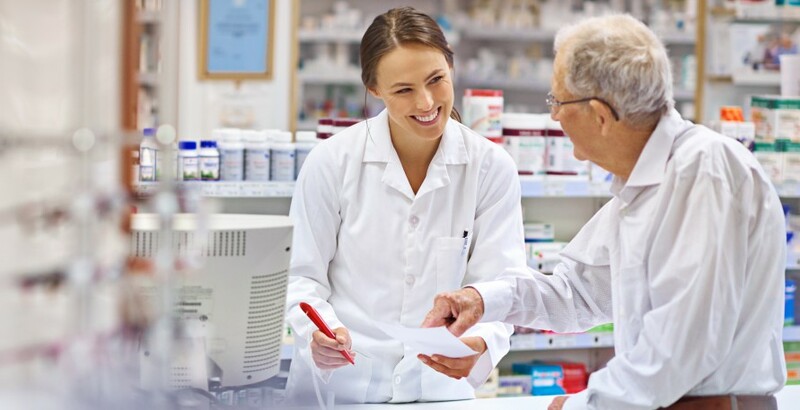 The St. John Medical Center community pharmacy is staffed by certified pharmacists and pharmacy technicians who are here to listen to your health and medication concerns and answer any questions. The pharmacy serves the Tulsa-area community, in addition to St. John associates and patients. The St. John pharmacy offers full retail prescription services and delivery services within Tulsa city limits. It also carries over-the-counter medications, wound care supplies, greeting cards, various gift shop items and beauty supplies. The pharmacy accepts most health insurance plans and is a preferred CommunityCare provider. The pharmacy is conveniently located on the St. John Medical Center campus on the first floor of the Bernsen Medical Plaza, 1919 S. Wheeling Ave. A parkade with free parking is located directly north of the building. Please call 918-748-7699 during pharmacy business hours to speak with a St. John pharmacist. The St. John Medical Center pharmacy is open Monday through Friday from 9 a.m. to 5 p.m.
To contact the pharmacy, please call 918-748-7699.